Travelling changes people and it feeds the soul. To make sure that your experience does not encounter with any sort of setbacks its important to make sure that you have everything that you need for a trip and use to do list template. 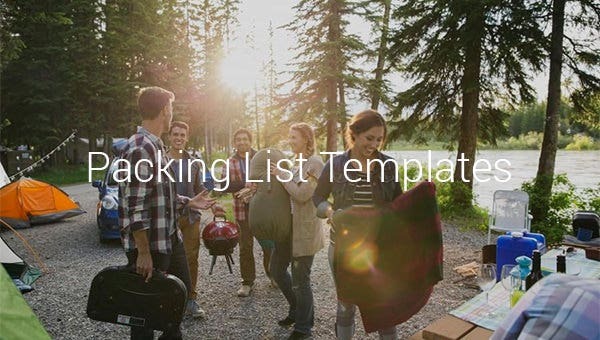 didyoupack.com | The sample vacation packing list template features vacation packing checklist in which all items which are needed for vacation are enlisted. You can also add any more items in the list if you want to. These items are categorised under various heads like bedding, before leaving home checklist etc to make it even more convenient for you. 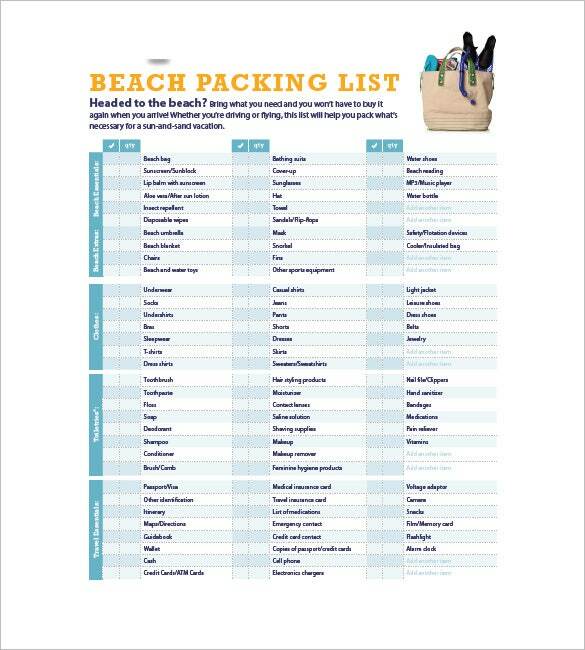 i.slimg.com | The beach packing list template provides you with a checklist for beach packing. 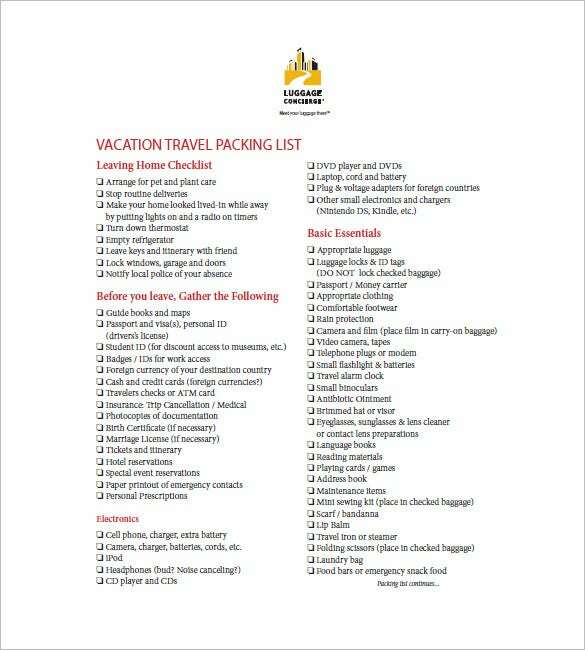 This checklist consists of all the items which are required at a beach so that you may not forget any item. Also, you can keep ticking the items you have already packed to make packing easier for you. 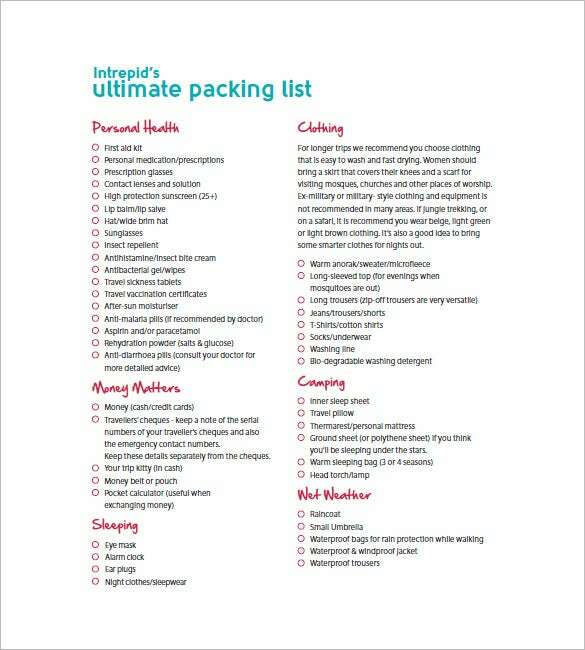 intrepidtravel.com | The sample packing list template printable features the general packaging list which includes all items which are required to be packed before going out somewhere. The items to be packed are categorised under various heads like personal health, clothing, money matters, camping etc to make it easy for you to pack. Also, you can easily print this template for use. travelsupermarket.com | The holiday packing list template free download provides you with packing list especially drafted for holiday. 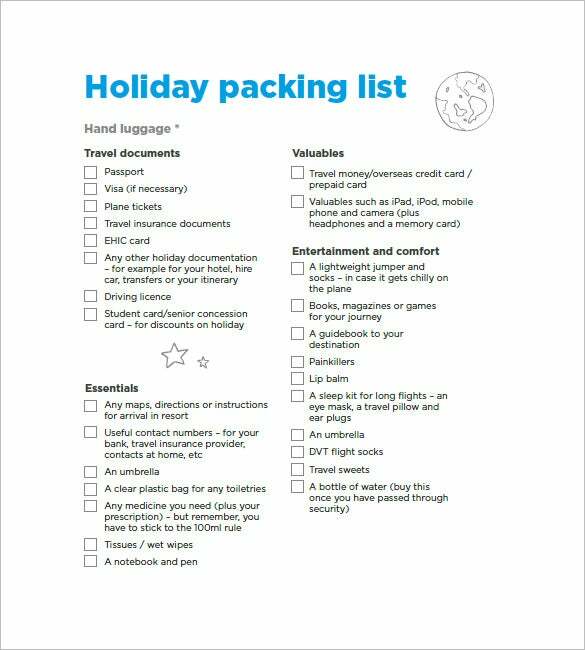 When you are going on a holiday, it becomes quite stressful to pack all things without missing any especially if it’s a long holiday trip, so this template helps you in packing for it by providing you well drafted checklist. From a sleeping bag to an extra pair of socks or even a spare battery, each of these things can prove to be useful. 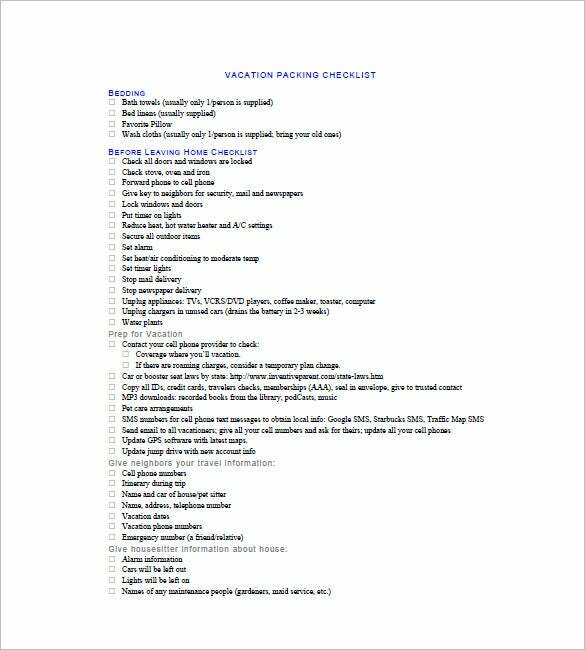 Organize your packing list with our Packing List Templates, which will allow you to assemble the necessary items needed and will provide you with a full inventory. Use these list templates available in the formats of Word Excel and PDF. 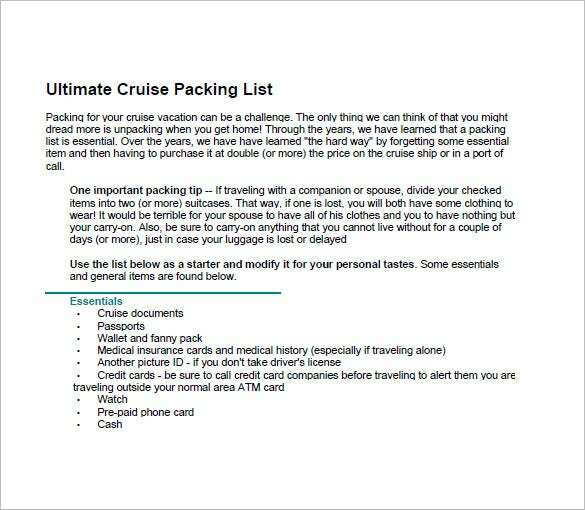 > Why is the Packing List Template Needed? 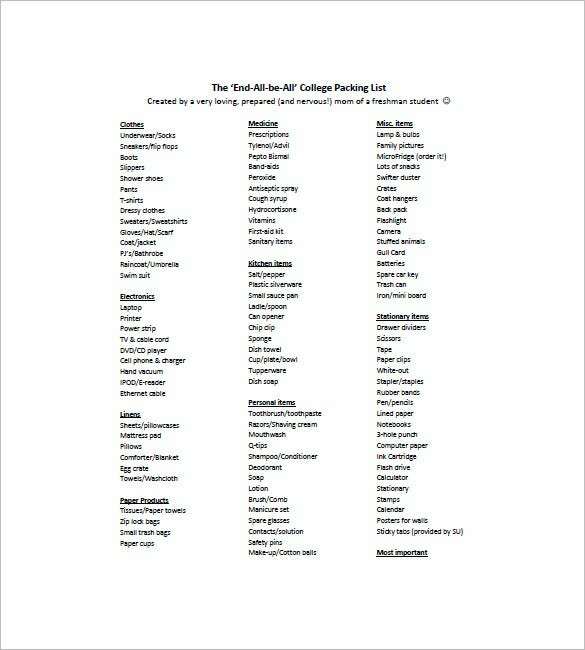 The packing list template is needed for preparing the packing list before going somewhere. You require them for keeping a record of all items you have packed along with the items you are left packing with. You may need to draft packing lists for various purposes like for packing for going to beach, holiday, picnic, camping, honeymoon etc. These templates make it incredibly easy for you to draft the list by providing you with various options which can be used by you as examples as well as directly. Also, you need them for saving time in drafting packing list on your own. > When is the Packing List Template Needed? 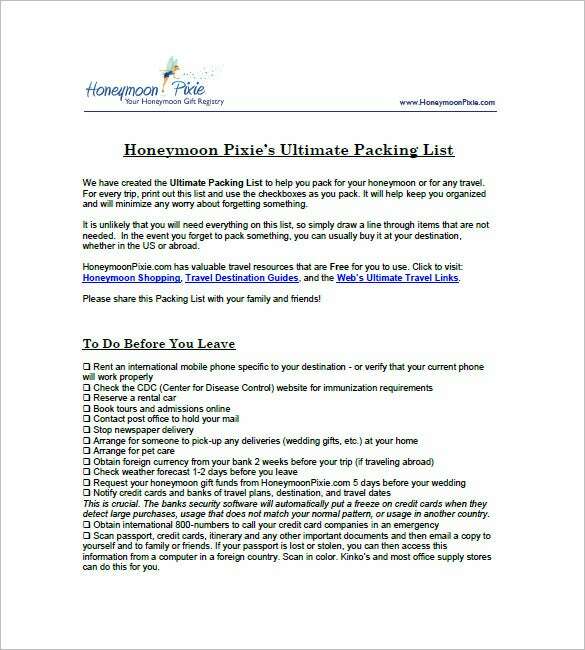 The packing list template is needed when you need to draft the packing list. Most often, you tend to miss out things to be packed before going out especially if the outing is planned suddenly or in a short span of time. So, at that time you need these templates. You can print out pre- drafted packaging lists and get all items listed in it so that you may pack everything required before leaving. Also, you may need at the time when you are drafting packaging list on your own so as to cross check the items in the list. There are several benefits of downloading the packing list template like you get well formatted packing lists which reduce chances of missing out any item which is essential for packing. The items included in these templates are also categorised under following heads which make it easy for you to pack similar items at one place and at one time. Also, you can use these templates every time you need to pack things before going out as they are reusable. 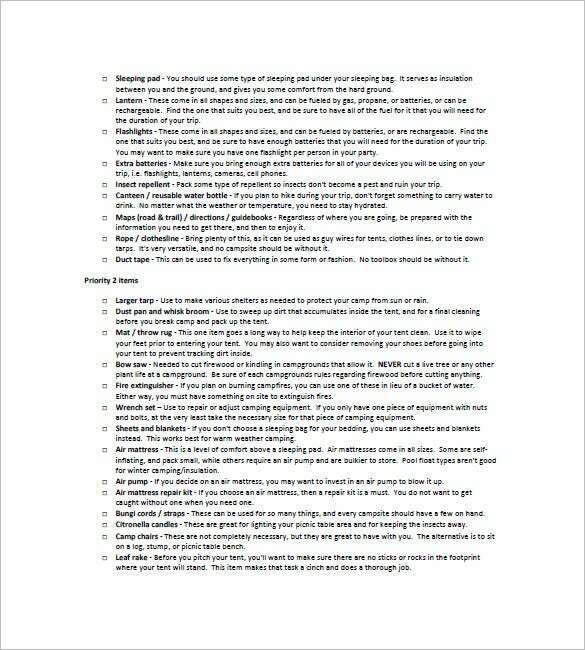 You also get assistance from these templates while drafting packing lists on your own by going through the samples given or by cross checking the items if you have already drafted your packing list. 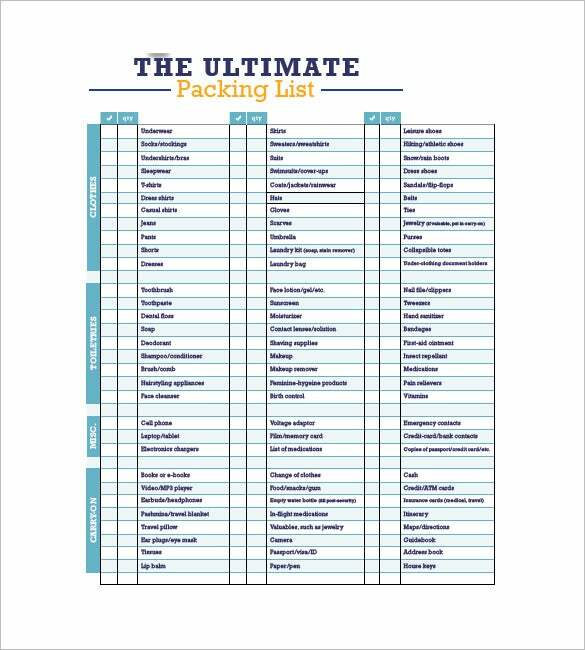 The packing list template is extremely easy to use as you can download it with one click, print it out straight away and just keep checking the items you have already packed. By the end, you will pack all required items. Also, there are various options made available to you in packing list templates so that you get the best suitable one with ease. If you have any DMCA issues on this post, please contact us!